A floor of stray strands isn’t a reason for most women to panic—until her ponytail is abnormally thin and scrawny. Premature thinning and balding is normally associated with men; however, hair loss in women is a common occurrence. The reasoning behind hair loss can range from simple to complex. With age comes wisdom and an overall loss of hair density, but you might be able to find the reason behind your shedding and help stop it. If you’ve undergone sickness, surgery, weight loss, or an accident, that could trigger telogen effluvium — hair loss caused by stress. The hair’s life cycle has a growth, rest and shed phase, but unfortunately stressful events can push up the shedding process. The hair loss usually isn’t noticed until three-to-six months later. Luckily, hair will grow back as the body recovers. 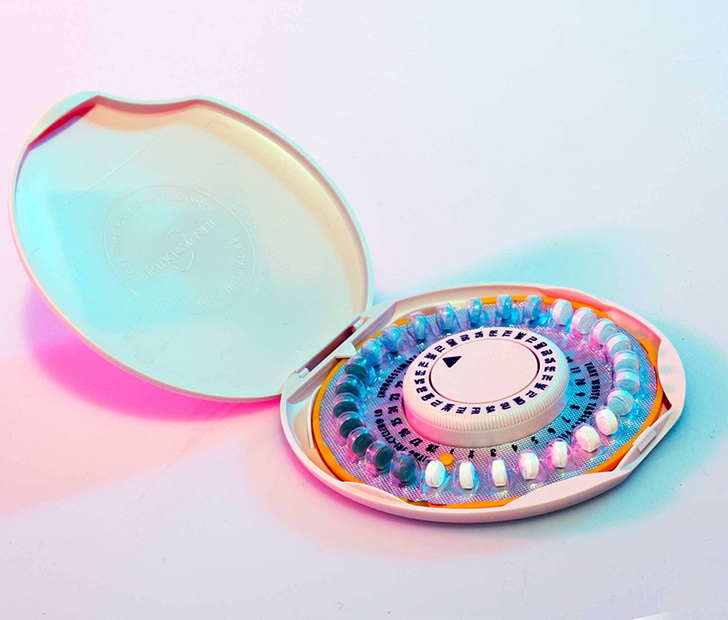 Hopping on and off of birth control can affect hair loss. This also triggers telogen effluvium. The constant change in the hormonal balance is similar to that of menopause. Mark Hammonds, MD, a dermatologist with Scott & White Clinic in Round Rock, Texas explains, “The hair follicles will miniaturize and then you start to lose more hair.” If oral contraceptives cause issues, see your doctor and know that the hair loss may be temporary. Too much vitamin A can trigger hair loss. The daily value is 5,000 IU per day and some supplements and medication can contain between as high as 10,000 IU. Lacking protein can shut down hair growth altogether. After two months in protein deficiency, your hair will begin skipping the growth phase. “If you come from a family where women started to have hair loss at a certain age, then you might be more prone to it,” said Marc Glashofer, MD, a dermatologist in New York City. Rather than begin a receding hairline like men, women tend to notice widening parts and thinned patches. Rogaine is helpful in combating hereditary hair loss. 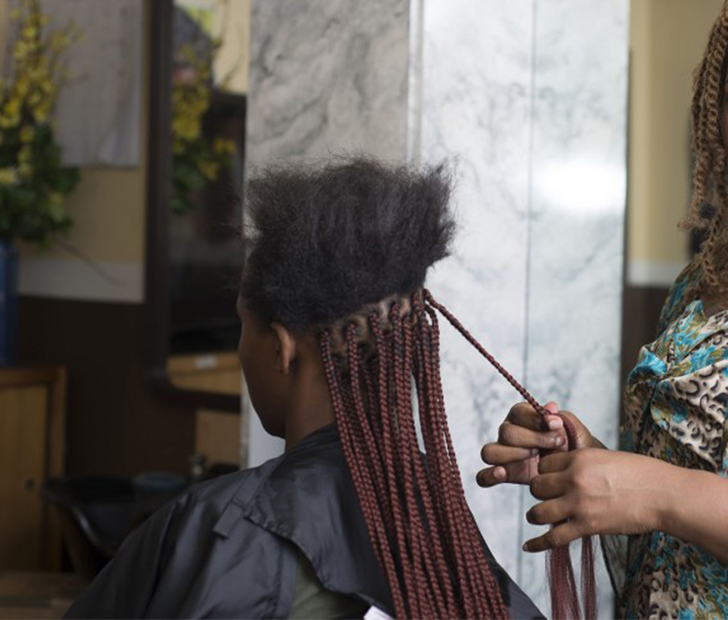 Even if you’re not regularly braiding and adding weave to your hair, you can cause hair loss. Constant heat and chemicals in the hair can damage and affect the root. Also having your hands in your hair, even while playing in it, can cause hair loss. To keep hair healthy throughout the styling process, be sure to condition after shampooing, air drying, and restricting the use of hair irons to once a week. This impulse control disorder that causes sufferers to pull their own hair out is an obvious cause of hair loss. It usually begins before 17 years old and women are four times more likely to suffer from it. Antidepressants can be helpful, although sometimes behavior modification is necessary. Believe it or not, having an under-active thyroid gland also results in hair loss. The gland is found in the neck and the hormones it creates are essential to the metabolism. If those hormones aren’t high enough, you can lose hair. Medication can be taken to raise those thyroid levels and normalize hair growth. Did you learn something new? Comment below and share with your friends on Facebook! Want To Get Rid Of Those Dark Circles Under Your Eyes Without Spending A Fortune? Here’s How!